Are you feeling dizzy at times? Are you losing your balance? If yes, then you might be suffering from vertigo. So, you might be wondering what exactly vertigo is and how you can treat it effectively. Read on to learn all about it. Vertigo or dizziness or faintness is the sensation of spinning or feeling off balance. It is actually not a disease, but it is a symptom of underlying disease. It may be either subjective vertigo that occurs when the patient is moving or objective vertigo that occurs when the surrounding objects are moving. Many causative factors are responsible for it. Disorders of the vestibular system, vestibular nerve, and cerebellum are the most common causative factors. Systemic causes of vertigo include orthostatic hypotension, head injury, migraine, cardiovascular disorders, stroke, multiple sclerosis, and other factors. BPPV (Benign paroxysmal positional vertigo) is the most common form of vertigo. 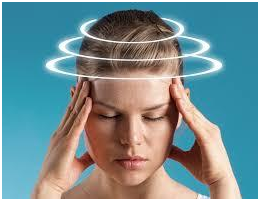 Homeopathic medicines are very effective in treating vertigo. They not only control the intensity and frequency of vertigo but also improve the general immunity of the patient. Cocculus: Cocculus is a quite effective homeopathic medicine for vertigo, particularly when the person suffers from it while riding or sitting up in moving a car or train. Also, it is highly beneficial when your vertigo complaints are accompanied by vomiting, nausea, and sense of emptiness in your head. Conium: If you suffer from vertigo when lying down, turning over the bed and turning your head sidewise, or moving your eyes, then in such conditions Conium is very effective homeopathic medicine. Conium is often recommended to elderly people suffering from vertigo discomfort. It also helps you have relief when vertigo discomfort turns worse with a slight noise or voice of others, climbing or moving down the stairs, and shaking your head to the left. Gelsemium: Gelsemium is a well-known homeopathic remedy for vertigo. It is known to be one of the best homeopathic medicines to treat dizziness, heavy eyelids and head, and dim vision resulting due to vertigo. Gelsemium is regarded to be a highly effective remedy when the discomfort due to vertigo begins in the back of your head and then spreads from that point. Pulsatilla: Pulsatilla is basically an effective remedy for women suffering from vertigo. When a vertigo of a woman worsens due to the delayed or suppressed menses, then going for Pulsatilla can be highly beneficial. Pulsatilla is used to treat vertigo with the sensation that objects around you are revolving in a circle. It may also help mitigate your digestive discomfort and nausea resulting due to vertigo. Choose to go in open, fresh air to alleviate the symptoms of vertigo. Phosphorus: Phosphorus is commonly prescribed homeopathic medicine for vertigo to the aged people. It is the best remedy for treating vertigo that occurs when you get up from your bed in the morning. It is quite effective in alleviating the feeling of whirling, fainting, or floating resulting due to vertigo. Usually, individuals suffering from such vertigo may have a great craving for food and ice-cold drinks, and they may get a relief in the dark. Bryonia: Bryonia is a highly effective homeopathic remedy to treat gastric vertigo which is accompanied with nausea. It helps you have relief from dizziness that you may suffer when getting up out of your bed in the morning. Brynonia is also known to treat the discomfort resulting due to vertigo that you may suffer when moving or changing the position of your head and opening your eyes. You may also feel better by lying down for a while. For Vertigo the best treatment is homeopathy as myself is an example to get cured from homeopathy and thanks for sharing the effective medicines. A very detail information about vertigo with homeopathy medicine. Neck stiffness and virtego worsen at siting position and bent the head, even moving head at sitting position. My wife 51 yr is suffering from vertigo PL help in telephonic consultation with a doctor.thanks for such a beautiful briefing. I am having vertigo since 8 months, feel like shaking, Spinning and Heavy bubble in my head with heavy eye lid, sometimes double vision. Please help.